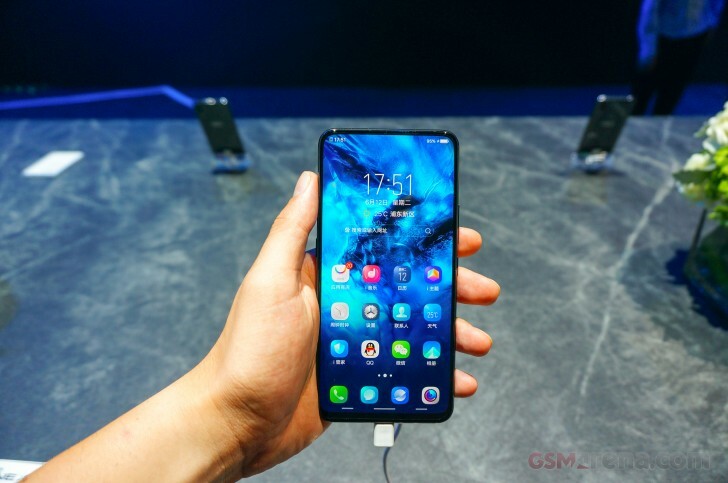 Today is a big day for vivo, as the Chinese company has unveiled the market ready version of its APEX concept smartphone, which shocked and awed the world at MWC in February. 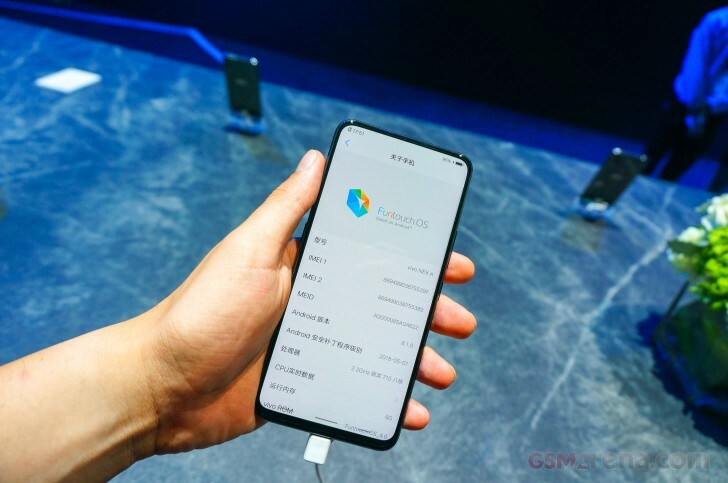 And while the vivo NEX S is the new flagship device, the NEX A comes to complement it in the company's roster, bringing with it a lower price. That is justified because the NEX A is powered by the Snapdragon 710 SoC, and not the 845 in the S. It has a 'vanilla' fingerprint sensor on the back, and not an under-display unit. 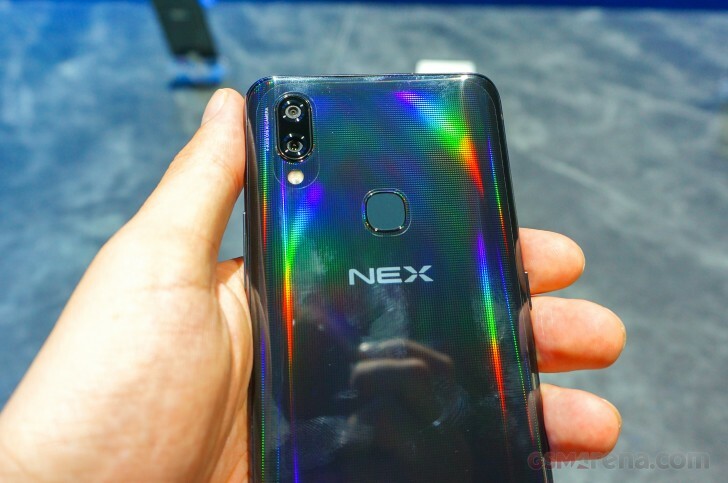 The NEX A also settles for 6GB of RAM and 128GB of non-expandable built-in storage, whereas all of the other specs are identical to those of the NEX S. So it is built around a 6.59" notch-free Full HD+ Super AMOLED touchscreen with a 91.24% screen-to-body ratio, and a 4,000 mAh battery. The NEX A, like the NEX S, will have a dual rear camera setup with a 12 MP f/1.8 main sensor (Sony IMX363) with Dual Pixel autofocus, 1.4um pixels, OIS and EIS, aided by a 5 MP f/2.4 secondary camera. Selfies are taken care of by the Elevating Front Camera. The periscope-like thing has 8 MP resolution and f/2.0 aperture. The vivo NEX A runs Android 8.1 Oreo with Funtouch OS 4.0. It has a 3.5mm headset jack on the top side, a USB-C port for fast charging (a 22.5W charger comes in the box), dual-SIM functionality, and one single speaker on the bottom. It's 2018, so a new phone launch, especially one as highly anticipated as this one, couldn't have taken place with no mention of AI. Thankfully, the NEX A is full of that. vivo says it's pursuing the "ultimate AI photography technologies", with things such as AI HDR, AI Filters, and AI Photo Composition. The camera AI has 18 tags and 140 scenes it can recognize. But wait, there's more. The Jovi Intelligent Voice Assistant has been updated with "powerful voice commands", image identification, and a dedicated button you can use to access it. Jovi now lets you use apps and features with your voice. 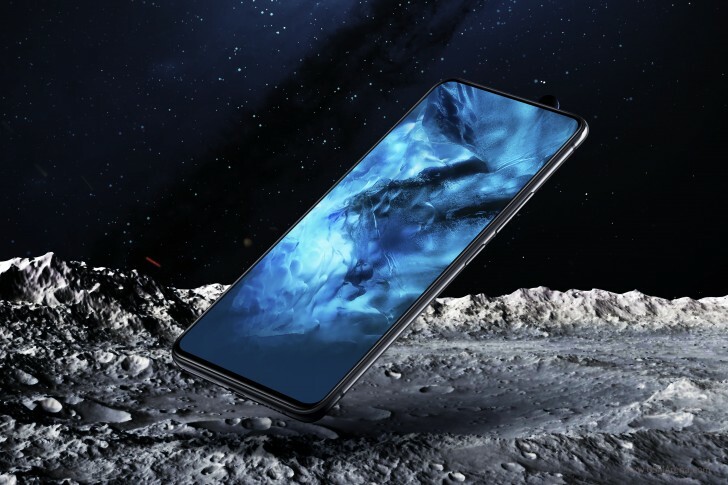 The vivo NEX A will be out in China in red and black on June 23 for CNY 3,898 - that's about $608 or €515 at the current exchange rates. Pre-orders start tomorrow. There's no word yet on international availability. The black model switches RGB colors under different lighting conditions thanks to triangular elements, through what vivo calls Holographic Diffraction Dynamic Color Illusion Technology. As usually, fanboy+media effect of course.